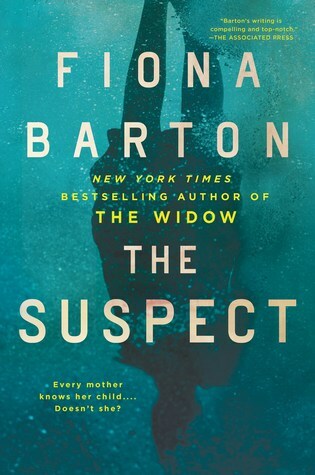 Author, Fiona Barton, seems to have a rather large cult following on social media. Her books (especially this new one) have been all over my Instagram page and I have to admit, I was intrigued by the prospect of being able to fan girl a new-to-me author. As I have said before, I am new to the thriller genre and often become intimidated by starting new series mid way through, however in recent years I have had fairly good luck with starting mid series. I had seen that this book can be read as a stand alone, even though it is part of the Kate Waters series. And as the case of the missing girls unfolds, they will all find that even this far away, danger can lie closer to home than you might think (summary from Goodreads). I would absolutely agree that this book could be read as a stand alone book. I had my reservations when I started it, but ultimately I felt that the author orientated the audience in the ‘world’ and it’s characters. I didn’t feel lost at all. This book addresses every parents worst nightmare…..a missing child. Even though the missing girls are teens, I think any parent would have heightened anxiety when reading this book. I myself have a two year old son, and just reading this book made me extra nervous about kidnapping. Not in a way that made me not want to read this book, but in a way that made the book more personal and made me invest in it in a way that I wasn’t expecting. The author’s writing is smooth and also practiced. It is evident that the author writes thrillers with a daft hand. I felt like the transitions in the book and the story itself fit well together and flow nicely. It is clear to see why this author has so many dedicated fans. I noticed that some reviewers felt that this book fell flat when compared to the other books in the series. For me, I have no reference so I cannot say if this book was less thrilling than the others. In my opinion it was a fun read with some twists and turns that kept me interested and reading at a steady pace. The only thing that I had a hard time with was the main character herself. Maybe in other books, Kate is more likable. But for me in this book, I just didn’t connect to her in the way that I had hoped. The story itself was a delight to read but the main character just wasn’t my favorite. Free review copy provided by Berkley Publishing Group in exchange for an honest review. All opinions are my own and in no way influenced.